Campaign takes a closer look at the ambitious leap by Global's Stephen Miron and Ashley Tabor into the out-of-home industry. 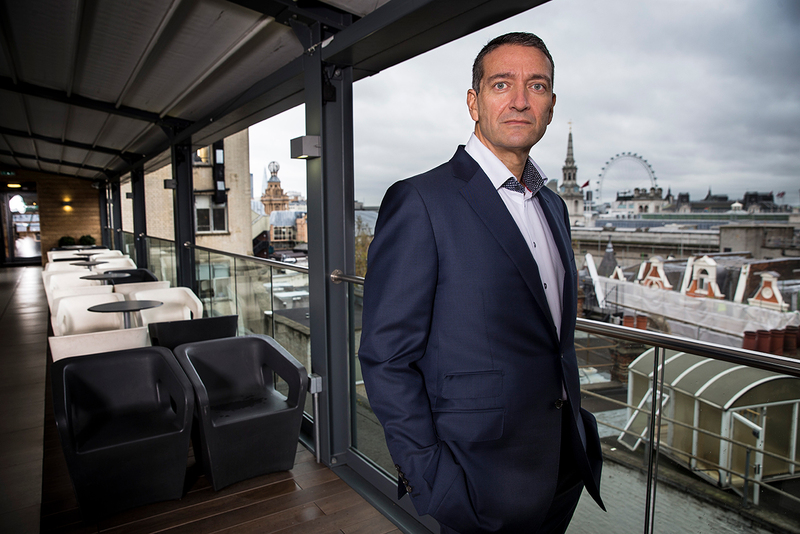 Global's double acquisition of Primesight and Outdoor Plus has caused genuine surprise. Other media companies have been looking beyond advertising to grow their revenues, due to Google and Facebook sucking up virtually all growth in the sector. But Stephen Miron and Ashley Tabor, Global's chief executive and executive president respectively, are increasing their business' dependence on advertising with their bet on out-of-home media. Everyone who believes in the power of paid media, especially mass simultaneous reach, to build brands should welcome this exciting deal. Appropriately, given Global’s links to the music business, Outdoor Plus even boasted a celebrity rock-star investor, Nick Mason of Pink Floyd, who held a minority stake. Global’s entry into OOH shakes up a fragmented sector that is ripe for consolidation, with a lot of private equity investors battling to make an exit. The deal means that the six major players have shrunk to five. The combination of Primesight and Outdoor Plus has a market share of about 15%, ahead of Ocean Outdoor's 8%. JCDecaux is the leader, with a market share upwards of 35%, while Exterion Media and Clear Channel both have roughly 20%. Everyone wants to know how much the Tabor family has paid for Primesight and Outdoor Plus, but all three are privately held businesses that don’t have to disclose such details. It is believed that Global agreed its deal with Outdoor Plus at the end of August, when Campaign reported on speculation about talks between the two companies. Global wouldn’t confirm the discussions at the time because it was negotiating with the owners of Primesight in a process that took only about four weeks. When news of the double swoop was announced on 20 September, Campaign reported that the sale price was more than £200m, but well-placed sources say the final number may be closer to £300m. Primesight is said to have been making profit before exceptional items, known as Ebitda, of £12m historically and perhaps upwards of £15m more recently. To get to a ballpark valuation, those profits can be multiplied by 12 based on recent sector history. When Clear Channel exited its Australian business in 2016, it got 12.7 times earnings, while Ocean Outdoor was valued at 12.4 times earlier this year. On this basis, Primesight is worth in the region of £180m. Similarly, if Outdoor Plus has had Ebitda of around £8m, it could be valued at close to £100m. That could push Global's total outlay to £300m, including bank debt. A spokesman for Global would not comment on financials, but the valuations are plausible. One City investor wondered if we are getting to the top of a debt-fuelled cycle in capital markets, but that’s a story for another day. Campaign has come up with some estimates about how much investors could have made, based on filings at Companies House. We are in the realm of speculation, so all these figures should be treated with extreme caution. Filings for Project Iconic Holdings, the parent of Outdoor Plus, show that about 40 investors – including staff – owned nearly 100,000 shares. There were three classes of share, but Campaign is simplifying by treating them as having equal value. If Outdoor Plus was valued at £100m, Jonathan Lewis, the founder, had a stake that may have been worth perhaps in the region of £14m. Other notable investors include Pink Floyd’s Mason, whose holding is estimated to have been worth in the region of £6m, and Phil Georgiadis, the chairman of media agency Blue 449, who had a stake thought to be worth £4m. The biggest investor, Inflexion Private Equity, which invested two years ago, had a stake that was probably worth upwards of £40m. Sources said Outdoor Plus shareholders may have ended up collecting smaller sums, after bank debt was repaid. Filings for Bell Holdco, the parent of Primesight, show that about a dozen investors owned nearly 14 million shares. Shareholders probably received considerably less than the hypothetical £180m sale price, because the group had a large amount of debt, following 11 years of private equity ownership. Naren Patel, chief executive of Primesight, had an estimated 4% stake, meaning he should have collected a seven-figure sum. GMT Realisation Partners, the private equity investor, held the vast majority of shares. Global revived the fortunes of commercial radio after buying GCap in 2008 and people involved in the double OOH deal are optimistic that the group might be able to repeat the feat in a new sector. Miron and Tabor gave several clues about their thinking when they announced the deal. OOH is growing as a medium and is "an extremely complementary fit with our radio business", according to Miron. 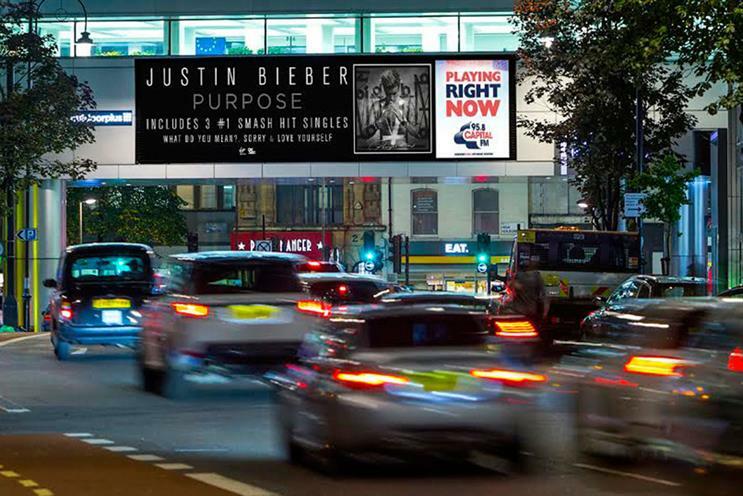 Britain’s near-£1bn OOH sector is almost double the size of commercial radio’s £500m ad market – an opportunity for Global, which can’t expand much in radio because it already has about half the market. Radio advertising is growing at around 5% and OOH about 2% a year in the UK, according to forecasts by Group M.
Significantly, Tabor said OOH is "a sector that’s been underinvested in". He promised "major capital investment" in Primesight and Outdoor Plus, and sees "many opportunities with our current business", including the programmatic digital audio advertising platform Dax – all comments that hint at digital expansion. There are benefits for Global from buying Primesight and Outdoor Plus – greater scale, cross-selling, cost synergies and cheaper access to outdoor ad inventory for its radio brands. Outdoor Plus and Primesight's portfolios also dovetail quite nicely. The former is London-centric and digital-heavy, while the latter is national and includes a large number of "classic" billboard sites. Global will increase in size by about a third, adding £100m in sales to take its turnover to about £400m. Global plans to run Primesight and Outdoor Plus separately for the time being in a new division, Global Outdoor, but it is likely to try cross-selling radio and OOH and will hope to drive a lot of synergies. Past experience suggests that media owners who have both broadcast and OOH assets have struggled with cross-selling. Clear Channel and iHeart Media, CBS and Viacom, and Primesight and Scottish Media Group all spring to mind. One industry source said: "We found we weren’t adding value. Instead, we were discounting to advertisers you could have sold to separately." Global isn’t naïve and is aware of the potential pitfalls. One person who has spoken to Global suggested that the radio group could mobilise its large, local sales teams around the country and encourage a new breed of advertisers, such as small businesses and online start-ups, to invest in OOH. Global’s attitude towards the specialist OOH media buying agencies will also be important. Other OOH media owners have tried to challenge the specialists’ power to little avail. The company is expected to join OOH’s trade body, Outsmart, suggesting that it plans to take a collaborative approach. Global has proved to be an advertising innovator, particularly with Dax, and it will be fascinating to see if it can apply that tech savvy to digital OOH. DOOH promises to combine mass reach with dynamic creative and targeting by location, time of day and weather. Global already has some experience of geo-targeting, after teaming up with Outdoor Plus on a DOOH campaign that increased listening. One industry source believes Global could be interested in pooling ideas with JCDecaux, the market leader, which recently launched a global, programmatic sales platform called VIOOH. Anyone who has been to Capital’s Summertime Ball or Jingle Bell Ball knows that Global is a fan of huge, electronic, high-definition screens with audio. Expect the company to use its newly acquired OOH estate to carry advertising for its radio stations and music festivals. Media owners, particularly tech companies, buying OOH assets for their own marketing is a trend. Netflix bought several dozen poster sites in Los Angeles this summer and Google is said to be interested in programmatic DOOH. Established OOH companies are eyeing Global’s expansion anxiously, but they have responded positively – if only because they see it as a vote of confidence in the sector. Ocean, which is planning to float on the stock market later in the autumn, will be under pressure to respond to Global’s deal. Also considering their options will be Exterion, which put deal-making on hold after the Brexit vote, and Clear Channel, which is waiting for its US parent company’s debt problems to be resolved. Imagine if Global Outdoor acquired some of Clear Channel’s assets one day. Global’s consolidation play should be seen in the context of other deals in UK media, such as Comcast’s planned acquisition of Sky and Trinity Mirror’s merger with Northern & Shell to create Reach. Scale matters – that's something that Global has always understood. The clue is in the name. And it isn’t just UK-focused, after using Dax to expand in Europe and America. Watch this space, as they say in the outdoor world.